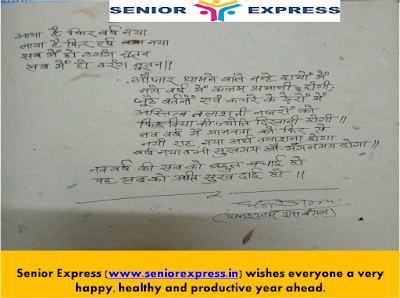 Senior Express wishes everyone a very happy, healthy and productive year ahead. 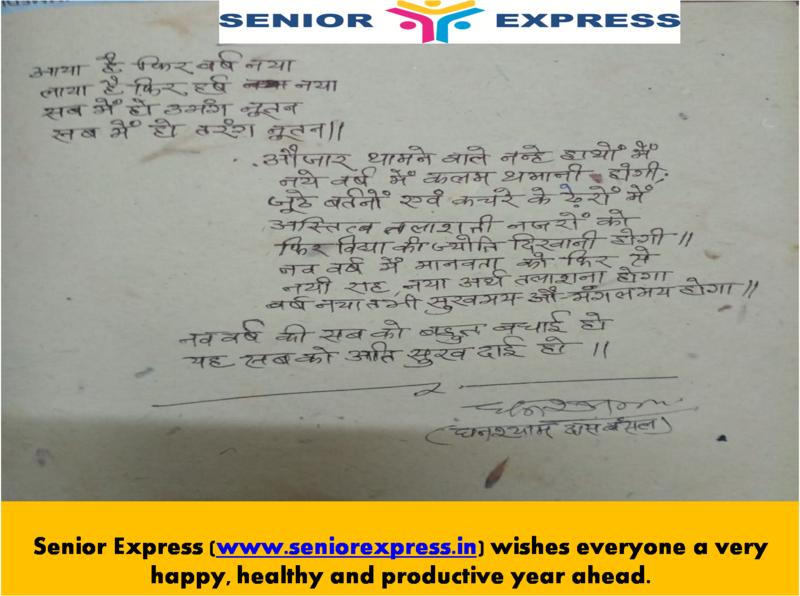 This year do follow your passion and live life to the fullest like our contributor Mr. Bansal, a 69+ active senior from Noida who is passionate about writing poem and prose. Sharing a beautiful and thought provoking poem which he has written for New Year 2018.